You need a company you can trust to handle your operational responsibilities and take out the headaches from investment properties and give you more free time. We have the experience you want in property management. We offer full service management of both residential and apartment properties. We have a dedicated team of professionals ready to help you maximize your profits without sacrificing on service. Accounting-Whether it’s billing, statements, collection of rent and/or utilities of payments and statements online we use the most advanced software on the market. So you can have a better investment owner experience. 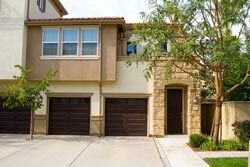 Single Family Homes (SFR) have a flat fee of $95.00. Condos/Townhomes have a flat fee of $85.00. Multi/Unit and multiple properties have discounted Fees so please contact us to discuss. We do not have any hidden fees, this means if we get a bill on your behalf or send out a vendor/contractor (plumber, landscaper, painter, etc.) we do not charge a fee for this service and/or bump the bill up. Rental Placement Fees are 50% of one month's rent or $500 whichever is greater. advise you on areas that need to be addressed to get your property ready to rent, if needed you can use our contractors or do it yourself/your own contractors. This is done with no out of pocket money from you; we collect the monies due after the tenant is placed. The Eviction Insurance Fee is a non-refundable $10.00 per month, per unit cost. This is a product offered by American Horizon Property Management to our customers as our way of proving that we screen and choose good tenants, and that we will pay the cost of the Unlawful Detainer (Attorneys costs, filing fees, etc. usually around $800). 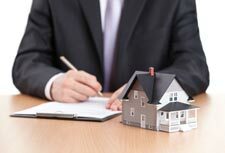 By using the optional Eviction Insurance American Horizon Property Management agrees to pay attorney fees and court costs in connection with an Unlawful Detainer Action for all tenants placed in the property by American Horizon Property Management. Should the tenant request and be granted a jury trial (a jury trial is not common)for the Unlawful Detainer Action, owner shall hire an attorney and pay all costs to litigate from that date forward. American Horizon only provides this insurance to owners and properties that American Horizon Property Management manages and the tenants were placed by American Horizon Property Management. Copyright © American Horizon Property Management. All Rights Reserved.